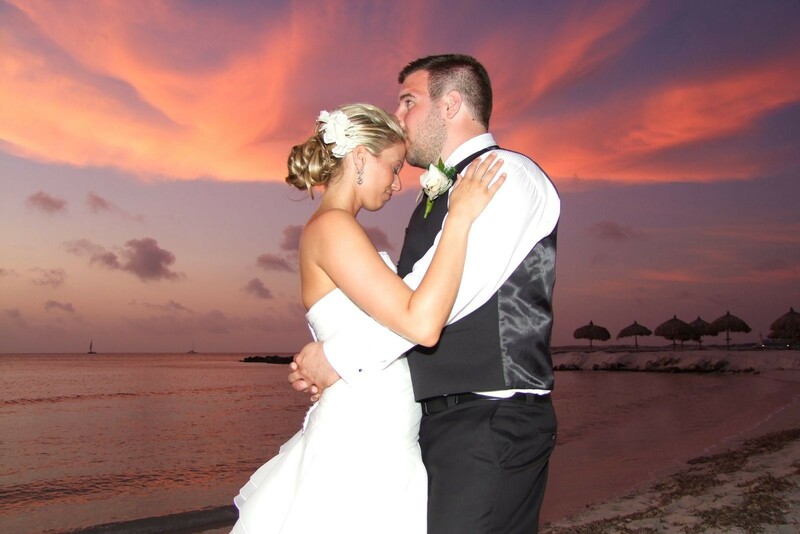 My family and friends have recently returned home from an Aruba Wedding that one could only dream of having. 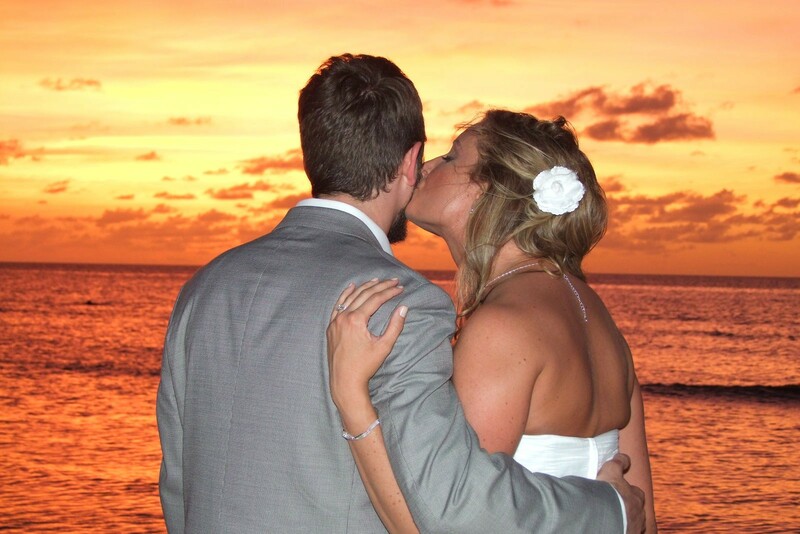 Our journey began one year ago when my dAugusthter Cheryl Morrison, her friend Emily and I arrived in Aruba to plan Cheryl and Brendan Nolan’s wedding.  We had bookings with 3 wedding planners; our first was with Bonny Stanley who is an independent wedding planner. It was sheer luck that we found her on the internet site and what a gem she proved to be. Our first impression of Aruba did not begin on a positive note as we were very disappointed with our original accommodations. Bonny met us the next morning, drove us to the Aruba Phoenix Beach Resort and introduced us to Pedro Vargas ( manager). Pedro immediately gave us a tour of the Divi and we were very impressed with his enthusiasm and warm hospitality. A unit was available and we moved to the Divi within the hour. 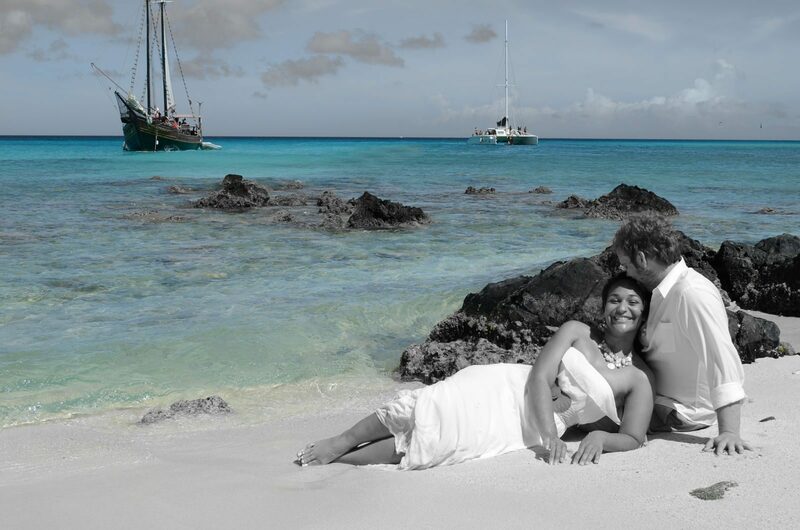 We knew immediately that Bonny and Pedro were the 2 people to co-ordinate our Aruba wedding. Bonny Stanley, our independent wedding planner, was unbelievable! She arranged every detail with such professionalism; the civil ceremony (including transportation), flowers,music, reception, etc., She suggested various options without any pressure or obligations. Throughout the year, she was totally accessible with a phone call or e-mail. 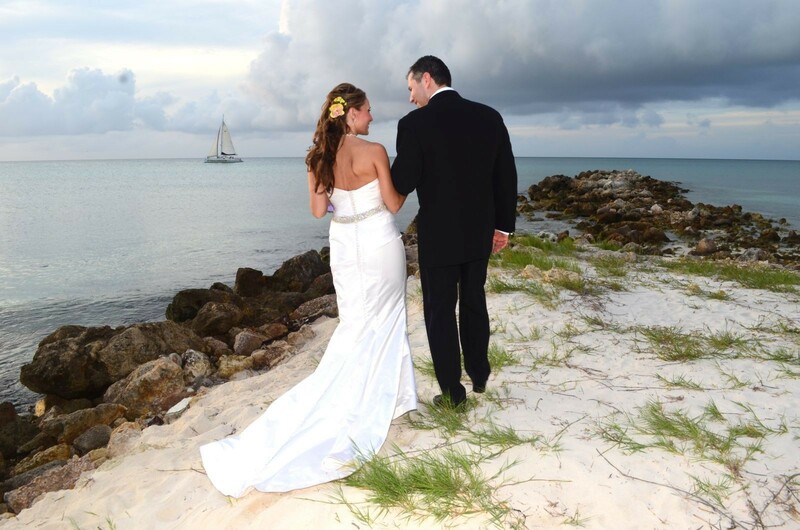 Bonny’s detailed planning is what every bride needs for a beautiful Aruba wedding. She is simply the best.